Coriander is an annual herb with edible leaves and seeds, a very commoningredientin cooking throughout the world. 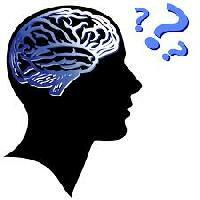 It is especially very popular in India, South Asia and Mediterranean region. Coriander is also known for its medicinal properties. Coriander leaves are very fragile so they should be washed very carefully before cooking. Coriander seeds have a healthsupporting reputation that is high on the list of the healing spices. In parts of Europe, coriander has traditionally been referred to as an antidiabetic plant. In parts of India, it has traditionally been used for its antiinflammatory properties. Coriander is a rich source of many essential vitamins like folic acid, vitamin C, vitamin A and beta carotene. Studies have shown that coriander leaves and seeds contain 30% of the daily recommended amount of vitamin C. Vitamin C is a powerful antioxidant which is essential for healthy body and skin. Coriander seeds as well as fresh coriander leaves help in healthy digestion. It has antioxidant properties which promotes healthy functioning of the liver and bowel movements. It helps in the production of digestive enzymes and juices. 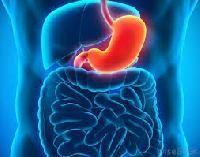 If you suffer from stomach indigestion, include coriander seeds in your diet. Many doctors swear by the antidiabetic properties of the coriander seed. It stimulates the production of insulin thus maintaining healthy blood sugar levels. It reduces the amount of LDL (bad cholesterol) and increases the amount of HDL (good cholesterol) in the blood. Those suffering from diabetes and high cholesterol should drink coriander water daily. Many food and water borne diseases like cholera, typhoid, food poisoning, dysentery etc are caused by bacteria (salmonella). Regular intake of coriander protects from food borne diseases due to its antibacterial properties. It contains high amount of iron which helps to prevent anaemia. 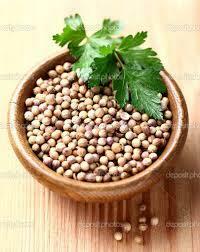 Women particularly should include coriander seeds and fresh leaves in their diet along with iron supplements. 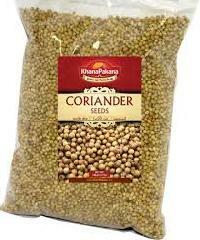 Coriander seeds contain natural compounds which help to detox the body and remove all the traces of heavy toxic metals. it leads to serious health problems like Alzheimers disease, loss of memory and eyesight, improper functioning of cardiovascular and neurological system. Coriander was cultivated in ancient Egypt and given mention in the Old Testament. It was used as a spice in both Greek and Roman cultures, the latter using it to preserve meats and flavor breads. The early physicians, including Hippocrates, used coriander for its medicinal properties, including as an aromatic stimulant. Fresh coriander (or cilantro) leaves should look vibrantly fresh and be deep green in color. They should be firm, crisp and free from yellow or brown spots. Coriander seeds and coriander powder should be kept in an opaque, tightly sealed glass container in a cool, dark and dry place. 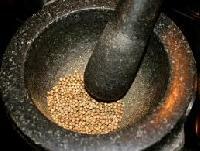 Ground coriander will keep for about four to six months, while the whole seeds will stay fresh for about one year.